GoMobile’s latest campaign in partnership with Qdoba Mexican Grill is making Seattle sizzle with the 1st ever FREE Street Taco Truck, which has served over 1,000 free tacos, so far, during its mobile tour using only social media to announce its locations. 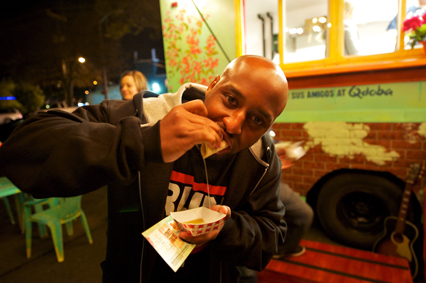 The Street Taco Truck campaign was designed by GoMobile to allow people to experience authentic Mexican street food culture while tasting Qdoba’s new product, Mini Street Tacos. Qdoba’s Street Taco Truck launched fittingly on Cinco De Mayo in Fremont, and has since held events near The High Dive as well as in Queen Anne after the Tim McGraw concert on May 18. 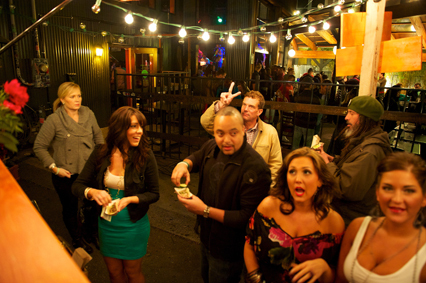 At least 6 more events are in the works, with future locations scheduled for Capital Hill and Ballard in the coming weeks. 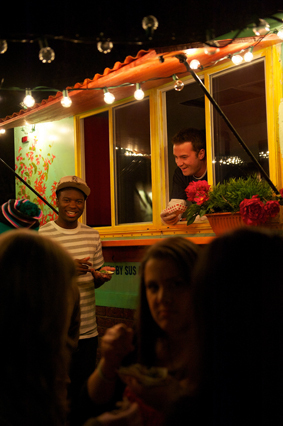 Taking a word-of-mouth approach to their events, the Street Taco Truck is relying completely on social media to announce their upcoming locations only days before they arrive on-site. So far, they’ve received announcements from CitySearch, Yelp, and prominent Seattle bloggers, food columnists and radio DJs to help spread the word. Over 500 fans are tracking the truck on Facebook and Twitter, and numbers are growing daily. 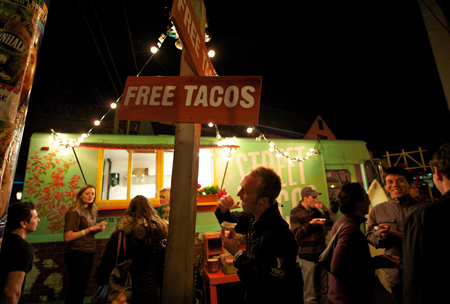 In addition to receiving a free Mini Street Taco, guests who visit the Street Taco Truck are given a coupon by trained GoMobile brand ambassadors for a Mini Street Taco meal and are also given a chance to win a trip to a Baja surf camp at www.QdobaStreetTacos.com. “Seattle’s street food movement is rapidly growing, and we wanted to contribute to that by allowing people to try Qdoba’s new product for themselves while experiencing that culture,” said Samuel Bolland, GoMobile Account Executive handling the Qdoba campaign. 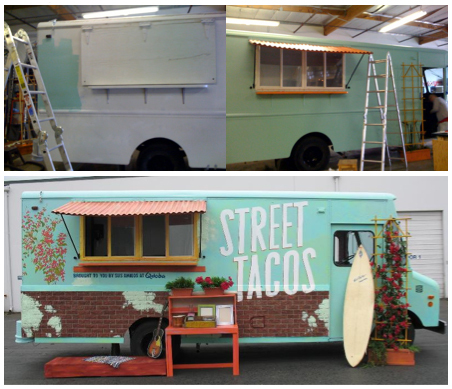 “Creating the campaign from start to finish has been a ton of fun.” GoMobile is taking on every aspect of the campaign including logo design, purchase and overhaul of the taco truck, microsite creation, social media management and event management. The entire campaign came together in just over three weeks and the vehicle was hand-painted by GoMobile.